Join us at Humpy’s for St. Patrick’s Day! 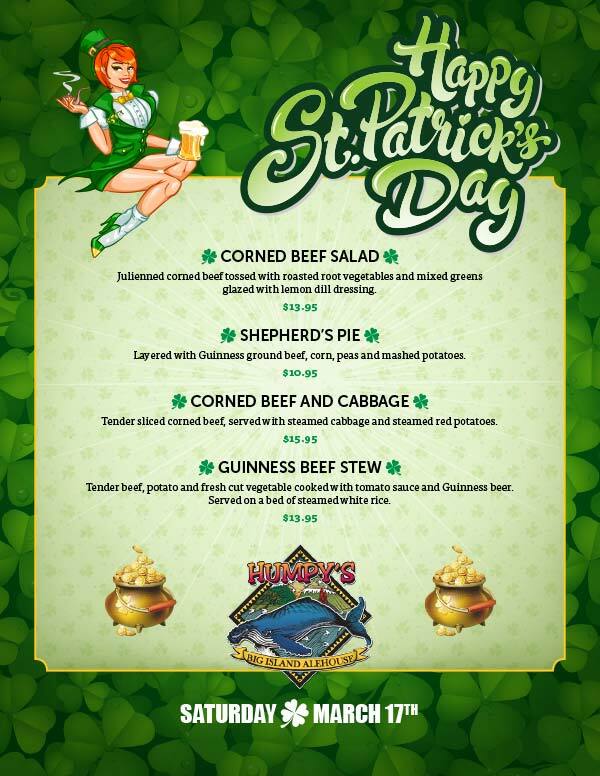 Don’t miss out on Humpy’s yummy St. Patrick’s Day specials and the best beer selection in Kona! May you live as long as you want and never want as long as you live — Erin go Bragh!